Many people whose familiarity with the presence of the Orthodox faith in English-speaking lands are unaware that until 1962 there was no particular standard work of introduction to Orthodoxy available in English. Thus pioneers, such as Met. Kallistos Ware in England (who wrote that first standard work), or Archbishop Dmitri (who entered the faith along with his sister – as teenagers – in 1941) were extremely rare individuals and generally found conversion a nearly impossible feat. Vladika Dmitri began life as a Texas Baptist, and, in my experience, never spoke ill of his background. I can recall him saying, “I like Baptists – they make great Orthodox!” accompanied by a sly smile. Indeed, I frequently heard him caution converts to Orthodoxy to refrain from disparaging their roots: “Most likely, it’s where you first heard of Christ.” His conversion as a teen led to a life as a scholar, missionary, teacher, leader, pastor – all in the context of kindness and love. He cared deeply about the Christian faith and expressed concern, even dismay, as he saw many surrounding Churches that once would have been considered “traditional,” moving away from many of the primary teachings of the Christian faith. He was particularly expressive about the weakening of the doctrine of Christ’s Incarnation. He insisted that the understanding of God becoming Man was the only possible foundation for the dignity of human beings. It was a thought shared by men such as C.S. Lewis. However, it became a great apostolic opportunity for a man uniquely suited to its apostolic task. He saw the Diocese grow over ten-fold with a remarkable spirit of kindness and hospitality. During World War II he met an Orthodox priest in California who spoke about a vision of an American Orthodox Church. It was the first time the young Dmitri had encountered the concept. It became his vision as well. In the course of a life-time, he saw that vision mature in his beloved South. Having been its apostle, he now becomes its intercessor. May his memory be eternal! I have had conversations in recent comments sections on the role of reason in the Orthodox life. I readily acknowledge that no one lives without some use of reason – but I contend that most of what forms the content of our life in Christ is not reason. The faith does have to contend with attacks and challenges from many arenas – and yet its success will not be established by the superiority of its arguments, but by faith in Christ. Arguments are often unfruitful in “reasonable” exchanges, for the form of Orthodox reason often differs from the form reason takes in many places. Alisdair MacIntyre has, to my mind, firmly established the growing incommensurable character of the many “rationalities” of our culture. Orthodoxy speaks itself most properly when it speaks “as the oracles of God” (1 Peter 4:11). This difficult apologetic requires that deep speak to deep. It is a very difficult discipline, but it saves both the speaker and the hearer, whereas argument may destroy them both. This article is a reprint, with small changes, on a theme I have addressed a number of times. Of course, I have to begin this post with the acknowledgement that I am an ignorant man. 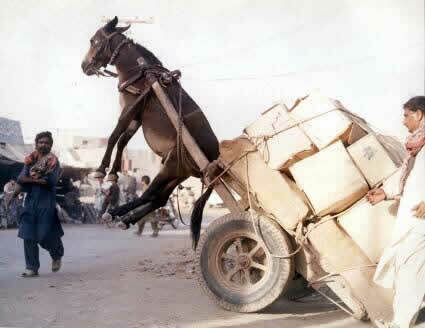 Having gotten that out of the way, I want to spend just a few moments on the benefits of ignorance. Several years ago I was blessed to have a conversation with Fr. Thomas Hopko while we waited in line to greet the new Metropolitan of the Orthodox Church in America. Fr. Thomas is the retired Professor of Dogmatic Theology at St. Vladimir’s Orthodox Theological Seminary in Crestwood, NY. He has taught a generation of priests. It was not entirely spoken in jest. There are many forms of knowledge – or many kinds of knowing which our limited language describes as “knowledge.” For Christians the most dangerous form of knowledge is that which we simply acquire through reading and study. It is largely just information. Of course, if you have enough information you can manage the illusion of actual knowledge. I know a lot of numbers, but I am not a mathematician. I have met mathematicians. Most of what they know is not about numbers – strangely. There is no great sin in ignorance – or at least there is far less sin in ignorance than in knowledge. The simple truth is that we will not know anything of value until we first know that we do not know. In the competitive world of American Christianity, this is hard. It is not hard for ignorant people to argue – but it is very hard to argue while at the same time admitting that you are ignorant. This ignorant man has spent a lot of years acquiring “knowledge” (falsely so-called). Knowledge of the sort that is readily available is not at all the same thing as knowing God – the only knowledge that has worth (though every true form of knowledge flows from that single knowledge). Somewhere in the course of my life I came to the place of spiritual exhaustion – I wanted to know God badly enough that I didn’t want to know something else in His place. So I became an ignorant man. Today I know very few things. And though I write almost every day – if you go back and read what I have written you will see that I know very little. I say many of the same things to different questions, for they are the answers I know. Thus when I wrote a while back that I had never seen a case of righteous anger – I did not mean to say there was no such thing, only that I’ve not seen it in 57 years of life. I have seen anger that would seem well justified (the anger a husband has over the senseless murder of his wife). But I have seen the same anger kill the man who bore it. I was born into an angry world. “Jim Crow” South was full of anger. Whites were angry at Blacks and Blacks were angry at Whites. We were angry at Communism. We were angry about the Civil War. We were angry at poverty (especially our own). Others were angry at those who were angry and the injustice of the entire system. I remember an Abbot, a friend now deceased, who said that after the Vietnam War many young people came to the monastery – “They were so angry about peace,” he observed. I served as an Anglican priest while the Episcopal Church inexorably jettisoned its traditional doctrine. I was consumed with anger. My anger did not save that Church and did me (and likely many others) great harm. It is not just anger that works in such a fashion. Any of the passions could be chosen. An ignorant man is frequently on the losing end of battles with the passions. It is therefore important for an ignorant man to be aware of his ignorance. Can such an ignorant man argue theology? Not to any benefit. The great good news is that Christ came to save ignorant men. We are easier to save if we admit our ignorance up front. Our opinions are so much dead weight. I know very little of God. I know that He is good – beyond any grasp of my knowing. I know that He loves in the unfathomable measure of the good God entering Hell in order to bring us out. I have been in several versions of hell and rescued numerous times. Ignorant men are always getting themselves into stupid, dark places. That God is good, that He loves us without measure, that He will go to any lengths to rescue us – I know a little about these things, though even of these things I am mostly ignorant. But I will not tire of speaking this good news. Ignorant men everywhere may be glad to hear it. This poem is from the collection of poems by St. Nikolai Velimirovich, the great 20th century Serbian saint. The Church continues its journey through the 50 days of Pascha and will conclude the feast with the celebration of the Feast of Pentecost (Troitsa) at the end of which the Kneeling Prayers are offered where (among many things) the souls of the departed are remembered before God. Christ came that the dead might live. You countless flocks of souls of the dead, do not be distraught and confounded, and have no more regard for the cold island of life on earth, to which we, being few in number, are still stuck for another hour or two until we come to join you for the summer in warmer and brighter regions. I have written often on the subject of “personhood,” drawing to a large extent on the writings of the Elder Sophrony, and to a lesser extent on the theology of Met. John Zizioulas. The heart of their thought is to direct us to the reality that to exist as “persons” is precisely the same thing (or similar) when we speak of the “persons” of the Holy Trinity. And further, that this is true existence for human beings. In our popular speech, we use the word person in a manner that is interchangeable with individual. This is to equate personhood with a word that stand for its near opposite. We are used to thinking of ourselves in individual terms – terms which emphasize our role as active, choosing agents. A collection of individuals is especially a collection of unique and competing wills. Thus it is always possible that the competing wills with whom I associate will be in direct competition with myself. Their good and my good may not be at all the same thing. Thus we wind up with various versions of the social contract, in which we agree by various means, to give as much room to other competing wills as possible, while allowing sufficient attention to our own. It is like belonging to a merchant’s organization. These social contracts exist primarily to keep us from killing each other and to help maximize one another’s profits, whether they be profits of the material kind or otherwise. It is so strong a force in our culture that even Christians, within the “mega church” movement, speak of their “target” congregation as a “market.” We are defined by the market to which we belong. We are the consumers of religious product. This has a way of working and even of prospering, in that a market approach tends to separate Christians from one another before they become “competing agents.” A congregation that is a statistical slice of our culture would argue over music, sermon, reason for existence, etc. Of course, regardless of the rhetoric used to support a marketing approach to human beings for religious ends is simply sinful. It is disrespectful of the purpose of Christ’s body and erects monuments to human sin (as manifest in our marketing choices). Such efforts, regardless of intention, are simply not the Church. They are anti-Church. Among many things for which Christ gave us His body, our growth and fulfillment of our lives as true human persons is among the greatest. To exist as person is to exist as free, as loving, as sacrificing of self, as having an existence which can only be defined by its relational existence to others. So St. Paul uses the metaphor of body parts. We are like hands and feet, ears and eyes. We have a true existence, and yet that existence only makes sense because it is part of something else. An eye by itself does not “see.” An ear by itself does not hear. We are members of the Body of Christ and we only have true existence inasmuch as we are functioning members of that Body. It is in this manner that we are persons. Personhood is not a moral goal – it is not a description of how we “ought to behave.” We do not live “as if” the existence of others were an inherent and necessary part of our proper existence. Personhood is a description of what it is to truly exist. To live in a manner that is not properly personal is not an “immoral” existence, it is a falling away from existence itself. It seems to me that this distinction is important. I have written elsewhere that Christ did not die to make bad men good but to make dead men live. Our living in communion and participation with others is not a metaphorical act of moral behavior but a description of the manner in which we truly existence. Forgiveness of my enemy is more than an act of kindness – it is a recognition of the proper mode of my existence. I love my enemy for he, too, is my life. These are not choices we make – or rather they are not things that are true because I choose them to be true. They are simply true. My choice is whether to accept them or reject them. This is our salvation by grace. By grace we have been given an existence that is greater than we might ever have morally wanted (apart from this grace). It is the feast God has set before us. It is the richness of life in His image. It is what salvation looks like. I do not know enough languages to gauge how universal is the concept of “home.” It has very strong connotations in English – and is particularly strong in its usage within the Southern United States. I suspect much of this is rooted in family and place – and requires a fairly stable culture. The culture in which I grew up was reasonably stable – though I experienced major upheavals in my surrounding world around the age of 10. I was young enough to remember what had come before and old enough to nurture a hunger to return. Some have spoken of this “homesickness” as a universal hunger – a memory reaching back to our loss of Paradise. I know that many speak of their coming to the Church as a “coming home.” It is certainly the case that Christ is our true home and that to return to Christ is the answer to the heart’s true hunger. I have come “home” this weekend (and for the first part of the coming week). I am in Dallas, the city of my Bishop. It was here that I was ordained Deacon and here that I have always looked during my years as an Orthodox Christian. Though my time in Dallas has always meant time in a hotel and a rented car – and often time without my family – it is still home. The very sight of my Bishop (who is now retired) is a coming home for my heart – to be in the rest that I find in his welcome and the assurance within the proximity of his unshakable faith. I arrived in Dallas a day or so early – in order to rest, to pray and to visit at leisure. Starting Monday, I am in meetings of various sorts with other priests and laity and with the Metropolitan of the OCA, the acting bishop for my diocese. On Wednesday, the Mid-Feast of Pentecost, I will concelebrate with a number of other priests and the entire Synod of Bishops of the OCA in a liturgy at the cathedral in which we will honor my retired bishop, Vladyka Dmitri. Thus, what writing I do this week will be between meetings – though being here without my family means that when I am not in a meeting I will have much time on my hands – and a chance to write. It is hard to explain to others, sometimes, that my experience of the Church and its hierarchy has not been the experience of an institution but of persons. Institutions are distortions are what should be personal and relational. There is nothing inherently institutional about belonging to something that involves millions of people. It’s just that our fallen experience of such things is usually only in a distorted form. When the Church ceases to be personal and becomes institutional, something has gone wrong. I know of people who have an unspoken pleasure in institutional existence. What is unspoken is the freedom that institutional existence gives to some to indulge a critical spirit. Institutions are perceived as impersonal – which leaves others free to say and do what they will and consider their actions “impersonal.” If anyone has ever held a position of authority then you will likely know what it is to be seen only as your “role” and not as a person. I have endured things through the years associated with such positions that are among the most painful experiences I have ever known. As a sinner, I know that I have offered more than my share of such impersonal animosity as well. The answer to such problems is not the “reform” of institutions, but the redemption of relationships. It is necessary for power and authority to be redeemed and placed under the headship of Christ. Democracy is not a synonym for conciliarity – though some mistakenly think so. Conciliarity is, in its highest form, the embodiment of personhood in all of our relations. It is this embodiment of personhood that is the true hunger of the human heart. Christ fulfills and raises us to the level of personhood in our redemption. Vladimir Lossky described the work of the Holy Spirit as primarily one of establishing us as persons in the true and proper sense of the word. To be a person is to know and to be known – and to know and be known in the Truth. It is to love and be loved and to know love in the Truth. My journey into the Orthodox Church included a relationship with Archbishop Dmitri of Dallas for four years prior to my actual conversion. We discussed that eventuality only in our first conversation. For the years following I simply found myself treated as a son who had already returned home. My conversion was only a fulfillment of something that had been taken as an accomplished reality by the man who would be my bishop. It is no wonder that I love him as I do. 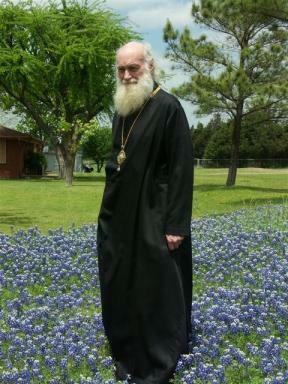 The retirement of Archbishop Dmitri is a vast change in the life of Orthodoxy in the South. For 30 years he has been a dominant force for Orthodoxy and its proclamation in this region and a figure who defined Orthodoxy as a profound practice of hospitality. Together with the Bishops of the Orthodox Church in America, I will celebrate a ministry which has extended the “home” of Orthodoxy to thousands of people who once had no knowledge of the Orthodox faith. And he has done this by creating a home rather than destroying another. May God grant us all to find the heart’s true home. Perhaps I am in an introspective mood – but I find myself lately going back and reading my earliest posts – they only go back to October of 2006 – though there have been nearly a thousand of them. It is an exercise in consistency and in growth. Would I have said something differently now than I said then? This is among my earliest efforts and remains as true to me now as it did when I wrote it. Indeed, it has been something of a litmus test for writing. To proclaim from the beginning of my effort, “This blog doesn’t matter.” This is not to say it is not worth the effort, but to say that the effort only has worth if it serves a proper end – in this case the knowledge of God. It is a reminder not to take myself too seriously but to take God very seriously. Nothing has changed about that. I offer it here again, unchanged. Knowing God is not in itself an intellectual activity for God is not an idea, nor a thought. God may be known because He isperson. Indeed, He is only made known to us as person (we do not know His essence). We cannot know God objectively – that is He is not the object of our knowledge. He is known as we know a person. This is always a free gift, given to us in love. Thus knowledge of God is always a revelation, always a matter of grace, never a matter of achievement or attainment. This short post is among the first to appear on this blog – dating back to October of ’06. In the light of conversations here over the past few days, it seemed timely to bring this back to our attention. I I have written on the topic of the absence of God (or our sense of it) since the beginning of my work. And even though conversations with contemporary non-believers can be tedious – they are very much worth having – if for no other reason than most Christians have a great deal of non-belief in their hearts. I also believe it is the particular calling of contemporary Orthodox (in this I follow St. Silouan of Mt. Athos) to empty ourselves and enter the abyss of the spiritual hell our world has created for itself and there preach and pray – for it is there that the contemporary Adam has confined himself – and it is there that we must also find Christ. The emptiness of the secularized world – the first floor of a two-storey universe – is a man-made hell, the place in which we have exiled ourselves from God. We will not find God by looking elsewhere for it is here that He is present and filling all things. It is the mystery of our faith. I have reposted this original article without change.